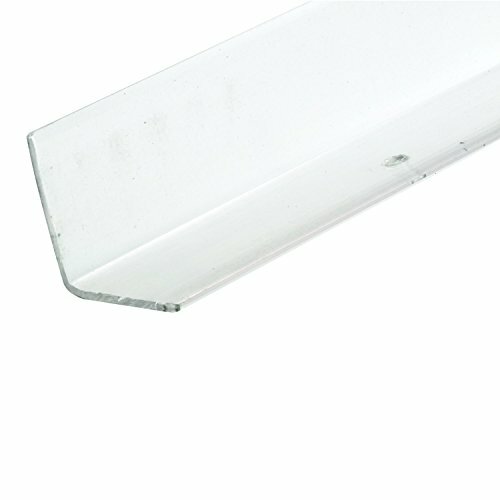 These corner shields are constructed of extruded vinyl and come white in color. This item includes a total of twentyfive (25) corner shields, and they feature 1-1/8 in. x 1-1/8 in. wide leafs at lengths of 96 inches each. Corner guards like these protect the edges of finished wall corners, designed to prevent chipped paint, tearing of wallpaper and unsightly buildup of fingerprints. These corner shields are solid in construction and come complete with pre-perforated installation holes and fasteners for a stronger hold. These corner shields are easy to install and are used by many.